The Council met with the Parks and Recreation Board to discuss user fees, capital improvement projects, and the recreation, arts and parks tax. Regularly holding joint meetings with key boards and commissions is something Council Members felt would be helpful for discussing items of mutual interest. 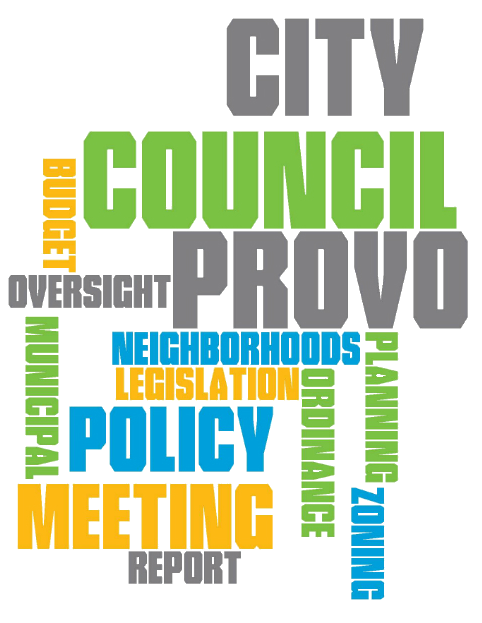 Several options are being considered as Provo City's contract with Republic Service for curbside recycling services is nearing its end. The Public Works Department is recommending that recycling be handled in-house rather than renewing the contract with Republic. Costs for various options were presented in addition to a recommendation to switch from biweekly to a weekly pickup schedule. This will be presented to the Council again once more details have been determined. Heard a presentation on the need for an Enterprise Resource Planning (ERP) System. Council Members expressed their support and requested periodic updates on the vendor selection process. Heard a presentation on the 2015 Utah County Municipal Recreation Grant. This will be formally heard at the May 5 Council Meeting. Discussed a request for ordinance amendments to Sections 14.21A.070 and 14.21B.070 regarding building height in the General Downtown and Downtown Core zones. (City Wide). This will be formally heard at the May 5 Council Meeting. The start of the Council Meeting was delayed slightly due to an earlier evacuation of the City Center building. A threat (which turned out to be a false alarm) was phoned in during the Work Session, causing that meeting to end early. Once the building had been searched and declared safe, Council Members returned to the building and prepared for the formal meeting. Held a public hearing and approved a resolution authorizing the issuance and sale of Energy System Revenue Bonds. Terms of the bond sale: 20-year, $20 million bond at 3.09% interest rate.